For the second straight year Cameron Smith has finished the top qualifier at the Australian Amateur championship. Smith began the second round in a share for ninth position after opening with a 1-over-par round at Huntingdale, four strokes behind first day leader, Matthew Wittenberg. A second round of four under-par 68 at Woodlands to finish at 3-under was enough for Smith to take the honours by a stroke over last week’s winner, Nathan Holman alongside Oliver Goss and Matthew Wittenberg. 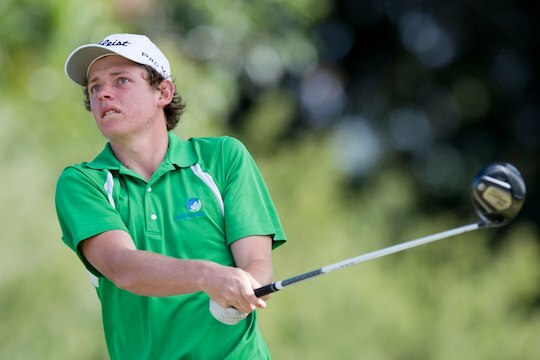 Thomas Bond and New Zealander Vaughan McCall shared fifth qualification finishing at 1-under-par, with Ben Clementson, Rory Bourke and Ben Hollis in a share of seventh. In a revamped format for these championships – similar to the US Amateur – 64 players qualified over the 36-holes for the elimination match-play series. Matt Stieger was lucky to qualify after rounds of 80-73 which has the defending champion as the 57th qualifier. Stieger is paired against Rory Bourke for the first round. The qualification series was not without some casualties. British Amateur champion, Bryden MacPherson fired rounds of 80-78 to finish in a tie for 106th position, Brett Drewitt carded rounds of 77-79 to be in a tie for 87th position, two strokes from making the twelve player playoff which came in at 10-over-par. New Zealand’s Ben Campbell easily qualified after rounds of 78-70 and will play Cory Crawford in the opening round. Tasmanian Ryan McCarthy finished fourteenth qualifier with rounds of 72-72 and will met New Zealand Amateur champion, Matt Perry in the opening round. Jake Higginbottom qualified eleventh and is positioned in the bottom half of the draw along with McCarthy, Geoff Drakeford (31st), Oliver Goss (3rd) and Daniel Nisbet (27th). The upper half of the draw has England’s Ben Loughrey (33rd), Nathan Holman (4th), Todd Sinnott (28th) and Daniel Bringolf (12th).